This multi-use salve packs a powerful punch! It contains no fillers making it 100% active ingredients that harness the power of nature to soothe, moisturize and heal skin. It took Lee over five years of experimenting to come up with the formula we still use today. Each ingredient was carefully researched and selected to create a product that we believe will out perform anything you have tried. Piñon pine pitch has been used by the native peoples of the Southwest for centuries as a remedy for skin problems. It readily penetrates the skin, may encourage tissue re-growth and may be effective in killing harmful bacteria. It is known to have great ability as a drawing agent to pull infection and toxins (such as those found in insect bites) from flesh and helping wounds to heal. Piñon pine pitch contains flavonoids, proanthocyanidins, resins and volatile oils that are stimulating and anti-inflammatory in effect. The albitic resins may stimulate topical circulation and noticeably speed up foreign body response. This can also help sooth sore muscles or break up congestion in the chest. Piñon pine pitch smells wonderful and is the predominant smell of Mom’s Stuff Salve. It has an earthy, clean aroma that smells like the high deserts of the west. The generous amount of beeswax in Mom’s Stuff Salve prevents it from easily melting, (especially in high desert heat on a backcountry trip). 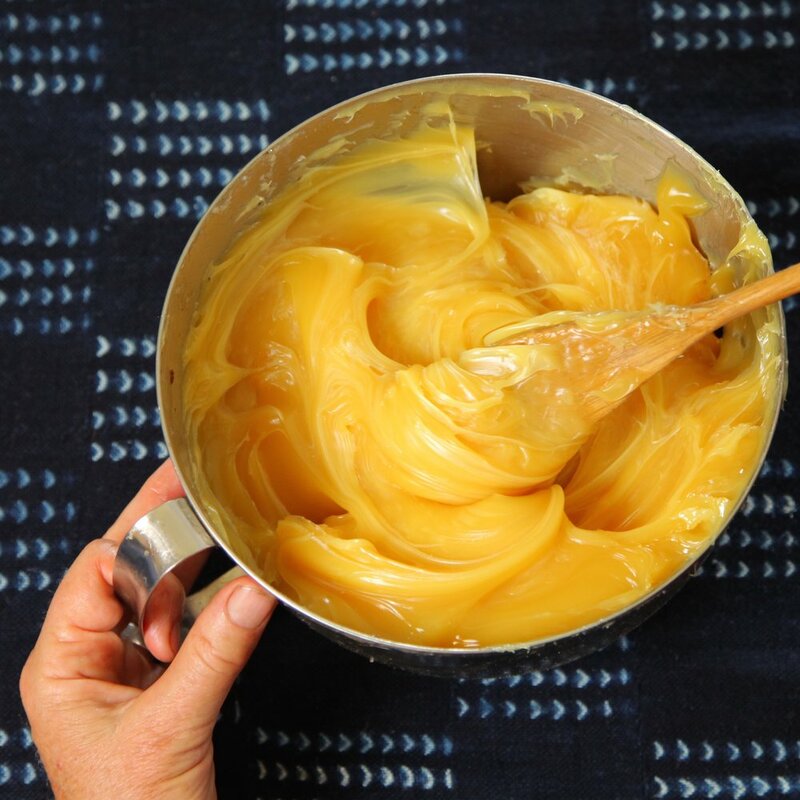 Unlike cheap paraffin fillers, beeswax is a high-quality ingredient that is chosen for its health and protective qualities first. The health benefits of EVOO are well known: it’s packed with antioxidant vitamins A and E, and its monounsaturated fats help reduce cardiovascular issues. What you might not know is that many of the same benefits are available to your skin when EVOO is applied topically. 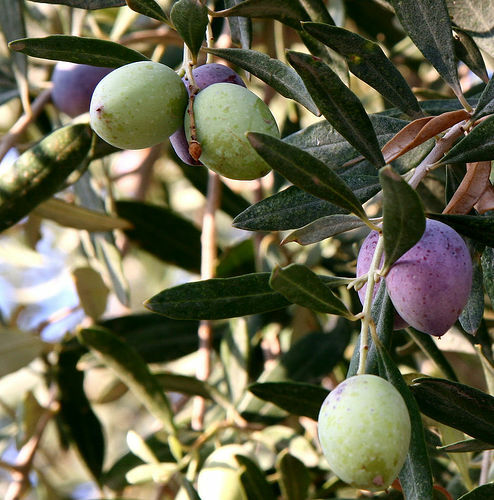 EVOO penetrates the skin deeply and while it may take longer to do so than finer oils, the benefits last much longer. It creates a protective barrier, while powerful antioxidants vitamins A and E repair and renew skin damaged by sun exposure and pollutants. These antioxidants also help stimulate cells to return to a firmer, smoother and healthier state and help prevent further damage. In addition, EVOO is the same pH as human skin, perfect for restoring balance to your body's largest and fastest-growing organ. Jojoba oil comes from the seeds of the jojoba plant, which is found in the deserts of North and Central America. Even though it is called an oil, it is actually composed of wax esters, which are fatty substances very similar to human sebum. Sebum is secreted by our bodies through pores on our skin, especially our face and scalps. It works to protect skin from both water penetration and dehydration. Oily and dry skin are a result of either too much or too little sebum. Because jojoba oil is so similar to sebum, it regulates the production of sebum so that the moisture level of the skin is perfectly balanced. Excess sebum clogs pores causing oily and acne prone skin; jojoba oil absorbs easily into skin leaving pores open and healthy helping the skin return to normal sebum production. Jojoba has been found to be a very effective for acne treatment. Sebum production slows during young adulthood and decreases more and more as we age, causing dry and wrinkle prone-skin. Jojoba oil replaces the loss of wax esters found in sebum and helps the anti-aging process. By using jojoba oil on the skin, the body receives the moisture that is lost with age, and decreases the appearance of wrinkles. Sweet almond oil is a gentle oil containing high amounts of vitamins E, A, and D and has been used in skin care products for centuries. It is also rich in oleic and linoleic acids. Almond oil sinks quickly into the skin and deeply moisturizes by restoring the PH of the skin while forming a protective barrier. It also has anti-inflammatory properties and helps soothe skin allergies, wounds, chapped skin and infections. The vitamins and acids in almond oil also help lighten skin discoloration, such as dark circles or other marks from scarring or sun damage. These same properties help reduce wrinkles and stretch marks. Apricot kernel oil is a very mild natural oil, often used in baby products because of its fine gentle nature. Sought out for its high vitamin E content and skin softening properties, apricot kernel oil is known for its ability to penetrate the skin without leaving an oily feel. 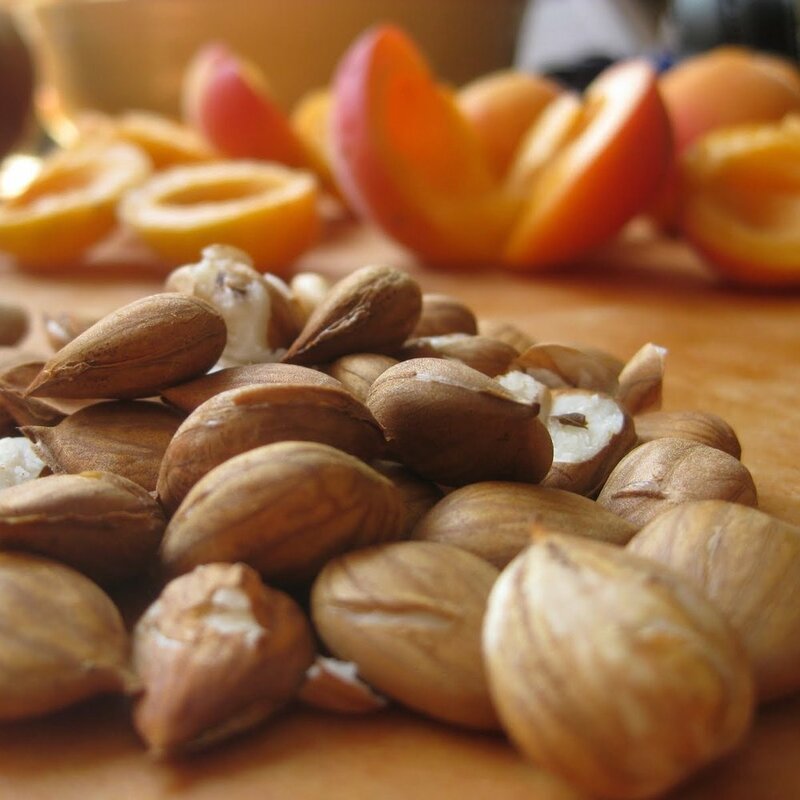 Rich in essential fatty acids like oleic and linoleic acid, apricot kernel oil is high in vitamin A. Since it easily penetrates the skin, it is a good oil for prematurely aged, dry or irritated skin. The excellent softening and moisturizing properties are great for the face, feet and hands. Vitamins A & C are good for mature dry or sensitive skin. Apricot kernel oil helps skin retain elasticity, clarity, and suppleness. In addition, Apricot Kernel Oil is used to calm the inflammation and irritation of eczema and dermatitis. Lanolin comes from sheep and is produced by the washing and squeezing of wool fleece after it has been shorn from the animal. It is a cruelty-free and renewable by-product of the annual wool harvest. Lanolin is a natural substance, designed by nature to soften both the skin and wool fibers of the sheep and to protect them against the ravages of climate and the environment. It is a beautiful golden color and is sometimes called the real golden fleece. Lanolin is one of the best ingredients to use on delicate, dry or chapped skin. It creates a barrier on the skin that prevents water from evaporating. It soothes rashes, minor burns and abrasions. Lanolin is found in the world’s best cosmetics because of its ability to nourish and protect skin. Modern analytical methods have revealed that lanolin possesses a number of important chemical and physical similarities to human stratum corneum lipids; which help regulate the rate of trans-epidermal water loss and govern the hydration state of the skin. Rosemary essential oil has been used for centuries and has been valued for its wide array of health benefits from the Greeks onward. While rosemary oil is used commonly in food, hair care, and for internal healing, it is a powerful oil for the skin. Rosemary has antimicrobial and antiseptic qualities that are beneficial in helping to eliminate eczema, dermatitis, oily skin, and acne. Regular use of Rosemary oil also helps tone your skin and eliminate dryness, giving your skin a healthy, even glow. Rosemary also stimulates circulation and the smell can boost brain function and reduce stress. Tea tree essential oil comes from the Australian Paperbark Tree and has been used traditionally as a remedy by Australian aborigines for hundreds of years. Tea tree oil has been used to treat mouth ulcers and abscesses, conjunctivitis, acne, boils, impetigo, psoriasis, dandruff, vaginitis, thrush, septic wounds, cuts and abrasions, carbuncles, skin infections, and ringworm. It is also said to ease the pain of minor burns and hemorrhoids and help rid people and livestock of lice and ticks. Tea tree oil has antibacterial, anti-fungal, and antiviral properties and stimulates the immune system. Neem oil comes from the Neem Tree in India. It has been a staple of Indian medicinal plants for hundreds of years. It contains antiseptic, antifungal, and antibacterial properties making it highly effective in treating eczema, psoriasis, acne, rashes and other skin irritations. The oil relieves swelling and redness and boosts the immune system giving it the ability to fight off skin infections and promote healing. It contains Vitamin E and is high in essential fatty acids, which moisturize and help improve skin’s elasticity. It also has regenerative properties and is very effective at soothing and restoring dry, cracked skin.